Good afternoon Ladies and Gentleman. My name is Kevin Friedrich, and on behalf of the American Accordionists Association and our Lifetime Achievement Award Committee members, it is a great honor to welcome you all here to this gala event, the Lifetime Achievement Award Celebration in honor of Faithe Deffner. Periodically the American Accordionists Association celebrates extraordinary individuals whose unique and abundant skills have contributed significantly to the advancement of the accordion. The lifetime of work we are celebrating today, has not only contributed to the advancement of the accordion within our own circles, but also among our fellow musicians around the world. With the AAA President Linda Soley Reed, members of the Board of Directors, AAA members and distinguished guests from around the world by her side, it is fitting that our honoree Faithe Deffner be presented with this award today, surrounded by her peers, while being honored with performances from some of the world's finest accordionists. We will be making our actual Award presentation just before we begin our concert this afternoon, but for the moment, would you please join me in a big round of applause to welcome today's honoree Faithe Deffner. A dynamic personality in the accordion world, Faithe Deffner has translated her passion for accordion into action as she devoted her life's work to elevating and advancing the instrument worldwide. Born in Worcester, Massachusetts, Ms. Deffner attended the University of Missouri School of Journalism in Columbia, Missouri. She subsequently worked as a trade publications reporter in New York City and went on to become an advertising copywriter and account executive. She opened her own Chain Advertising Co. on Liberty Street in Manhattan. Among her clients was the musical instrument firm owned by Ernest Deffner, for whom her first assignment was a 380-page catalog of musical merchandise ranging from castanets to vibraphones. The large section dealing with accordions introduced her to the fascinating world of a musical instrument destined to become her lifetime passion. She studied with studio accordionist and recording artist Billy Costa. Throughout her career, Ms. Deffner has participated in almost every aspect of the accordion world. Together with her late husband, Ernest Deffner, the Deffners set the standard for high quality accordion manufacturing, innovative design, publishing and music education. Their clients and collaborators are truly a Who’s Who in the accordion world. In recent decades Ms. Deffner has pioneered the development and promotion of lightweight accordions, including those with MIDI, and has been a leader in promoting accordion in bands and rock music, all promising areas for future accordion growth. She has encouraged advancement of accordion concert artists and strongly advocates accordion performance in conjunction with other musical instruments. The Deffner businesses will reach their 75th anniversary in September 2009. The firm includes Pancordion, Inc., Titano Accordion Co., Pigini Accordions and Ernest Deffner Publications, which Faithe Deffner has directed since 1971 when her husband passed away. The real hallmark of Ms. Deffner's work has been her vision to bring together accordion enthusiasts of all ages and from all corners of the world. Working on behalf of the American Accordionists’ Association as the organization’s president, Ms. Deffner introduced new concepts to bring public attention to the accordion. Whether helping to fill the decks of a cruise ship with 700 participating accordion enthusiasts playing Anchors Aweigh as they sailed past the Statue of Liberty, or staging the 2007 Coupe Mondiale in Alexandria, Virginia where it was attended by over 1,000 accordion enthusiasts, or arranging for Myron Floren to conduct six busloads of accordionists performing at the Liberty Bell in Philadelphia, or collaborating with Lawrence Welk Resorts in a two-year Search for the Hottest accordionist, Ms. Deffner has created numerous significant opportunities to publicly showcase talented accordionists. She has also served on numerous boards and committees in many accordion organizations including American Accordionists’ Association, Accordion Industry Council, Confederation Internationale des Accordeonistes, Accordion Teachers Guild, Accordion Federation of North America. For over 50 years she has been a staunch supporter of AAA as a member of its board and serving longest as the association's President. Faithe Deffner became a dynamic force in the accordion world soon after she joined her late husband in his musical instrument firm in New York City. Her background of public relations, marketing and journalism was a great asset to the company. Although her early music training was on violin, she quickly familiarized herself with all aspects of the accordion, both musical and mechanical. She studied with Billy Costa on 48th Street in New York City, the Mecca of all music activity at that time. Costa was a superb musician and teacher, and a leading studio accordionist and recording artist with big name bands such as Hugo Winterhalter. The Deffners owned Pancordion, Inc., an important US accordion manufacturing firm with factory facilities in Long Island City. Pancordion's list of craftsmen read like a Who's Who of the accordion world, dominated by names like Roberto and Archimedes Pancotti of the Excelsior family, Charles Magnante's brothers John and Angelo, Pietro Frosini's brother Natale and others. Here, Faithe Deffner was exposed to the intricacies of accordion construction and took this opportunity to initiate and influence developments in design, expanding musical range and playing ease. In the mid-1960's, the Deffners purchased the Titano Accordion Company from Dorothy and Edward Traficante of Minneapolis, Minnesota. 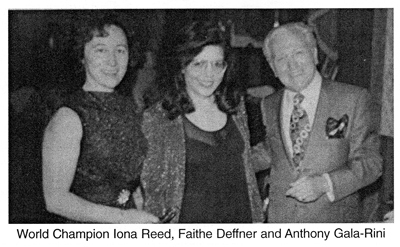 The firm moved to New York City and Faithe Deffner worked with Bill Palmer and Bill Hughes in the development of their extraordinary Titano concert instruments. Through this collaboration with the authors of the famous Palmer-Hughes Accordion Course, she recognized the need to attract young people to the accordion and, together with Palmer, she designed and introduced the Tiger Combo'Cordions. This was a line of compact and colorful accordions featuring quint treble tuning for "piercing lead or swinging chords in audio colors to flip the crowd," according to Hullabaloo magazine's description. The Combo'Cordions were styled with a new, slanted grille to show off flying fingers. They were designed to bring accordion into the rock era long before keyboards were firmly entrenched. Unfortunately, they did not achieve this goal simply because many accordion teachers and dealers did not take rock seriously and preferred the status quo. Born in Worcester, Massachusetts, she went to college at the University of Missouri School of Journalism in Columbia, Missouri. She subsequently worked as a trade publications reporter in New York City and went on to become an advertising copywriter and account executive. She opened her own Chain Advertising Co. on Liberty Street in downtown Manhattan. Among her clients was the musical instrument firm owned by Ernest Deffner, for whom her first assignment was a 380-page catalog of musical merchandise ranging from castanets to vibraphones. The large section dealing with accordions introduced her to the fascinating world of a musical instrument destined to become Faithe Deffner's lifetime passion. The Deffners had many interests in common. They were always together, at work and during leisure time. Their personalities and skills complimented each other and created a team effort. Music and music education were an intricate part of their lives and they directed this enthusiasm toward improvements and advancements of instrument construction and teaching procedures. 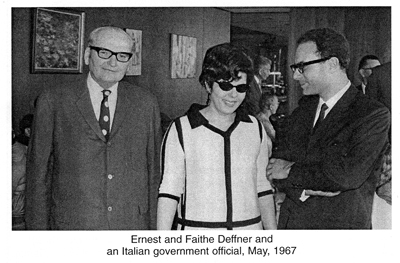 When, after a lengthy illness, her husband passed away on January 21, 1971, Faithe Deffner formally moved from the firm's vice presidency to its presidency. Accordion popularity was beginning to wane but her background enabled her to serve as a catalyst for the coordination of intensified efforts to benefit the whole accordion community. Ms. Deffner sought to unify the efforts of the remaining US accordion distributors and to heighten accordion interest among the general public. She was appointed director of the Accordion Industry Council. 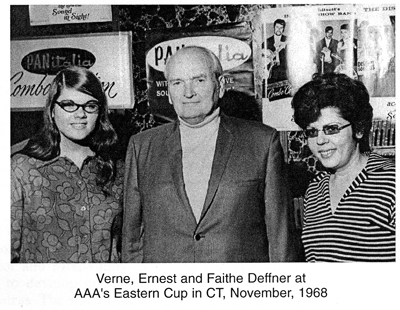 The Deffner's daughter, Verne, had been "helping out at the office" of the family's music business ever since she was a little girl. She grew up in a home filled with music and frequented by musicians. At seven, she was studying accordion (with Joe Biviano), piano and guitar. She attended Mannes College of Music in Manhattan. At Adelphi University, she majored in journalism and edited the arts and music section of her college newspaper. After a stint at a public relations firm which handled entertainment personalities and rock groups (including Paul McCartney and Wings, Linda Ronstadt, The Grateful Dead, The Nitty Gritty Dirt Band, Steve Martin and Barry Manilow), she returned to work with her mother in the family's musical instrument and music publishing firms. The Deffner firms intensified their staunch support for accordion programs of an institutional nature and began to assume a greater role within the international accordion community. Ms. Deffner's participation in national and international music events, and many years of service as the US delegate to the congresses Confederation Internationale Des Accordeonistes provided constant opportunities to initiate cooperation, exchange and interaction among accordion devotees. As a board member of the American Accordionists' Association, she served on the Executive Committees of the 1969 and 1976 Coupes Mondiale and coordinated the very successful 2007 Coupe in the US. She edited the AAA Newsletter and annual journals, and was in charge of accordion public relations. Over the years, Faithe Deffner worked to interest colleges and universities in the accordion as a major course of study. The first such program originated in 1946 at the University of Houston in Texas, where Bill Palmer introduced it to scores of young accordionists who majored on the instrument. Through Palmer's wide experience in the arena of higher education and his memorable concert work with the late Bill Hughes, the perfect beachhead was established as an example for other institutions to follow. In the late 1970's, Faithe Deffner utilized her journalism back ground in Accord, a high quality accordion magazine of international scope. As Accord's editor, she said she undertook the task of translating personal enthusiasm for the instrument into a "challenging new publication, which would represent and celebrate the diversity of the accordion community in a prestigious format." The project was lauded worldwide. However, as Ms. Deffner's activity within the American Accordionists' Association grew, time limitations caused her to interrupt publication of the magazine, which she hoped to resume some day. 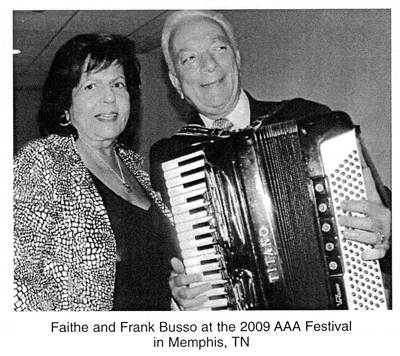 Always a strong exponent of accordion student bands and studio activity, Faithe worked closely with music schools in the US and abroad, developing unique programs for student enrolment and creative teaching procedures. In 1978, she embarked on yet another career, collaborating with Lindy Baumgarten, a distinguished accordion teacher and past president of the Canadian Accordion Teachers Association. Together, they founded Keyboard Study Centers in New York. Ms. Deffner became educational director and Mrs. Lindy (as she is fondly called) utilized her teaching skills to develop outstanding accordion students, accordion bands and orchestras. The school grew rapidly and took many top honors at national music events. As AAA's president, Ms. Deffner and her contest chairman, Roger Latulippe, introduced new concepts to bring national competitions to public attention. In 1985, Concerto for Accordion and Orchestra (composed by Carmine Coppola) was premiered with the Disney World Orchestra in Orlando as a highlight of the AAA festival. Accordion exposure was massive as student groups played throughout the park, which hosted as many as 40,000 visitors daily. Ms. Deffner's good friends, Fernand and Gaby LaCroix, came from France to adjudicate along with AAA regulars Addie Cere and Aldo DeRossi. The following year, Deffner and Latulippe put together the acclaimed Accordion Fantasy Cruise to Bermuda. The decks were filled with 700 participating accordion enthusiasts who played Anchors Aweigh as the ship left the New York harbor and sailed past the Statue of Liberty. Accordion bands played all over Bermuda during the festival, bringing the accordion to outside public venues. During her administration, thousands of accordion press kits were distributed among all facets of media to familiarize opinion-makers with the many attributes of the accordion and to equip them with the information required to create positive articles. This tactic yielded dividends when major media segments began to report an accordion "renaissance" which gained momentum, as popular groups began to feature the exciting and versatile accordion. The cover of the December, 1987 issue of Keyboard, a widely read magazine, proclaimed "Accordion Power" to the music world, heralding "The neglected step-child of the keyboard family" as "rock's new main squeeze." Journalist Bob Doerschuck reported, "Suddenly we are hearing it all over the radio, on albums by Paul Simon, Los Lobos, Talking Heads, Bruce Hornsby, and the Hooters. It's turning up in fringe music too, from Soho clubs to concert halls. Even the ethnic styles are catching on, with Buckwheat Dural's zydeco accordion rocking Late Night with David Letterman, Terrance Simien cooking up a spicy Cajun soundtrack to The Big Easy, and Tex-Mex innovator Steve Jordan putting the squeeze on Jimmy Hendrix's 'Purple Haze' for Born in East LA" Doerschuck credited Faithe Deffner as the accordion industry spokesperson who helped, as he delineated the accordion's new connection with John Cougar Mellencamp, Elvis Costello's group, Joe Jackson's "Big World," Bruce Springsteen, and a host of other important popular music personalities. When AAA celebrated its 50th anniversary in 1988, Faithe Deffner raised more than $30,000 for the organization to sponsor a mammoth international competition, which attracted 29 competitors from ten countries. She has also served the Accordion Teachers Guild as its vice president and continues her duties as a member of its governing board. She was honorary's vice president of the Accordion Federation of North America, and remains a very active delegate to the Confederation Internationales Des Accordeonistes (CIA), which sponsors the Coupe Mondiale in a different country each year. As some of the old-time accordion publishing houses ceased to issue new material or reprint slow selling works, Faithe Deffner recognized the need for ongoing augmentation of accordion literature, and she directed the resources of Ernest Deffner into publishing music for the accordion. Today, Ernest Deffner Publications is known and respected worldwide, with a catalog of more than 12,000 titles. It publishes works by many famous composers, including Jindrich Feld, John Franceschina, Carmelo Pino, Ernst Krenek, William Schimmel, Palmer-Hughes, Otto Leuning, Douglas Mews, Gary Daverne, Karen Fremar, Anders Groethe, Anthony Galla-Rini, Addie Cere, Andrezej Krzanowski and Alan Leichtling. Eventually, her firm absorbed the remaining vestiges of the two most venerated music publishing firms of the US, O. Pagani and Bro. and Pietro Deiro Accordion Headquarters. In 1995, Ms. Deffner was again elected to the presidency of the American Accordionists' Association with a mandate to reinvigorate the instruments' waning image through a series of new programs. She took the 1995 AAA Festival to Houston, Texas. Its theme was to honor an old and very dear friend, her long-time associate, Dr. Willard A. Palmer. Through her spectacular promotional efforts, Ms Deffner convinced Houston's Mayor Bob Lanier to proclaim July 8, 1995 Willard Palmer Day throughout the city, honoring the eminent educator, concert artist and composer for his many achievements including the Palmer-Hughes Accordion Courses which have sold many millions of copies worldwide. Performance opportunities were staged in the Endless Performance Ballroom, in the Massed Band concert, at The Club Pub, at the Water Wall of the Transco Building in Houston where the group assembled before TV news cameras to play Yellow Rose of Texas and, during a day trip to Galveston where accordionists were heard throughout the city. The first Accordion Summit Meeting, held to discuss the accordion's expanding role in the music and attended by more than 50 people representing 23 states, Mexico and Canada, was also initiated by Faithe Deffner and hosted by the American Accordionists' Association. At Ms. Deffner's urging, the group unanimously proclaimed the following year, 1996, the Year of the Accordion and agreed to publicize the concept and to finance a limited public relations program, which proved amazingly successful in generating accordion enthusiasm among media people who all took credit for "discovering" the popularity trend seeded by the Accordion Summit. That same year, record producer Michal Shapiro contacted AAA President Deffner for accordion information and to help with assembling tracks for her fabulous compilation "Planet Squeezebox," a three-CD (or three-cassette) package including a 56-page color book relating the history and travels of the accordion through in-depth articles and rare photos. "Planet Squeezebox" was released at year end, coinciding with launching "1996, the Year of the Accordion," and its rave notices from music critics everywhere contributed further to the media's "discovery" of the accordion's amazing popularity. Two new friends, Steve and Vivian Stolaruk came to their first AAA festival in Houston in 1995 and they were so impressed with the exciting accordion activities, that they became generous benefactors to the accordion movement in the United States. When Vivian passed away in 2003, Steve continued his valuable collaboration with the AAA and has sponsored the Vivian Vivo Stolaruk Competition annually with substantial prizes to build enthusiasm among young people. Together with contest chairman Frank Busso, Ms. Deffner searched for innovations to bring more positive enthusiasm to the accordion and to impart a feeling of well being among accordionists. The 1996 Competition and Festival was held in Philadelphia, Pennsylvania in honor of celebrated accordionist, Myron Floren of the Lawrence Welk Show which was seen in the homes of some 32.5 million viewers as it ran for more than 27 years on ABC-TV, and thereafter was televised as a successful syndication and a public television show. The American Accordionists' Association brought six busloads of accordionists to Independence Park, the site of the Liberty Bell, where they played Pennsylvania Polka and Sousa's Liberty Bell March, under Floren's direction. Advance publicity alerted major TV station crews, including CNN International, to be on hand to capture this accordion extravaganza. Many came and formulated a barrage of positive publicity for the accordion. By unanimous vote, the Governing Board of the then-59-year old American Accordionists' Association expressed solid confidence in its top officers by re-electing them after amending the AAA's Constitution to make additional consecutive terms possible, ensuring that the programs and goals introduced by the Deffner administration would continue. In addition to the many exciting events, Faithe Deffner worked with the Lawrence Welk Organization to launch a competition called "Search for the Hottest" which sought the most exciting accordionist with subsequent career opportunities. The campaign was conceived to promote the whole accordion community in a two- year program culminating with the selection of an accordion star in 1998. More than 80 competitors sent tapes and the finalists came to the Welk Resort to perform before a number of judges. Dwayne Doopsie was proclaimed "The Hottest Accordionist" and he was subsequently seen on "Good Morning America" (ABC- TV) as part of his prize. As Faithe Deffner works on numerous projects to expand accordion appreciation, she also gives much energy to new developments within the accordion industry. She is regarded by many as at the cutting edge of those innovations, which propelled the accordion into the 21st century. A computer enthusiast of many years she has long been an exponent of the Internet, prodding her friend and associate, Harley Jones of New Zealand, into launching Accordions Worldwide, the cyberspace home of all things accordion, which has become a wonderful resource. Because of her far-reaching interests, Faithe Deffner has been able to work closely with the world?s top accordion artists, most outstanding accordion educators at both private and college levels, on the design and constructional matters which concern the factories, with composers of accordion music and as a music publisher. This multitudinous frame of reference makes her uniquely able to bring a wide range of forces together to benefit all segments of the multi-faceted accordion world. 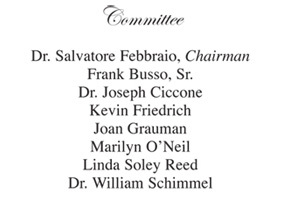 In 1997, her administration decided to honor eight longtime AAA board members (Maddalena Belfiore, Elsie M. Bennett, Carmen Carrozza, Pietro Deiro, Jr., Aldo DeRossi, Anthony Ettore, Louis Iorio and Marcello Roviero) at a gala banquet during the festival in Washington, DC. That year, Ms. Deffner introduced Cabaret Night, hundreds of accordionists were assembled to play en masse in front of the Capitol where they received excellent media coverage, Fox TV broadcast live from the midst of the festival during their two-hour morning show hosted by Tony Perkins who interviewed AAA participants and featured an array of accordion talent. In 1998, the AAA celebrated its 60th Anniversary Jubilee in New Orleans where the Massed Band played in Jackson Square. The Jubilee Concert featured Art Van Damme, Mat Mathews, Carmelo Pino, the UMKC Accordion Orchestra directed by Joan Sommers, the "K" Trio and Elvis Presley look-alike Ray Rue. The Battle of the Bands, each of which featured an accordion, was introduced and won by the exciting Dwayne Doopsie's Cajun Band. In 1999, the administration chose to honor "America's Polka King" and Grammy winner Frank Yankovic with a Tribute Concert featuring AAA champion accordionist Don Lipovac and his ensemble, Tony Dannon, the Jeff Lisenby Trio, Accordion Concertina Music Ensemble, the "K" Trio, and LynnMarie Rink. The Massed Band performed at the State Capitol and a World of Accordions Museum had an elaborate display of historic instruments at the AAA festival. Recognizing the important work of Dr. Helmi Harrington, at A World of Accordion Museum in Superior, Wisconsin, where the accordion family has been delineated and an unequaled research center has been created, Ms. Deffner convinced the AAA to support the Museum through a unique affiliation began 1n 1999. In 2001, the Magnante family donated papers and artifacts, which became the nucleus of a permanent Charles Magnante exhibit. Other AAA dignitaries followed with donations of property for exhibits. Dr. Harrington is currently developing an AAA Archive within the Museum. Ms. Deffner appealed to the accordion community to contribute historical articles and financial support to the Museum, stating that "A meaningful future for the accordion is only possible if we have a documented past such as what the Museum provides." In 2000, AAA's Millennium Festival was again held in Washington, DC where the US Army Band featuring accordionist Manuel Bobenreith provided a breathtaking program, the Millennium Festival Orchestra was led by symphony conductor Gary Daverne, the Massed Band garnered publicity in front of the Capitol Dome, Helmi Harrington's A World of Accordion Museum displayed a fascinating array of bellowed instruments, the "Press and Squeeze" party for media, Cabaret Night, the Endless Performance Ballroom and an Accordion Summit Meeting were all part of the event. 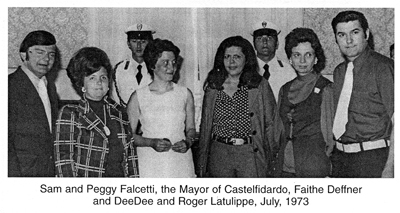 At the end of her lengthy service as president, Faithe Deffner thanked the accordion community for the opportunity to serve and expressed her personal appreciation and affection to the officers who worked with her, Frank Busso, Linda Reed, the late Lee Deiro and Carmelo Pino, for their invaluable service and dedication. 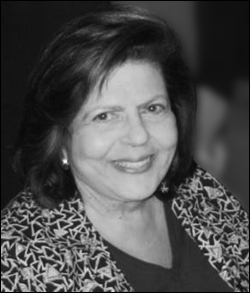 When Carmelo Pino succeeded her as president, she continued to help as contest coordinator for the 2001 festival in Minneapolis, which was a highly successful event. In 2005, internationally acclaimed composer and bayanist, Viatcheslav Semionov dedicated his new work, Divertimento, to Faithe Deffner, in honor of her many years as AAA's president. 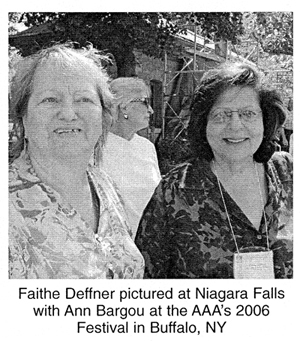 Culminating a glorious career in the accordion world, Faithe Deffner was elected vice president of the Confederation Internationale Des Accordeonistes for 2007 when she coordinated a memorable Coupe Mondiale in Alexandria, Virginia as a joint venture sponsored by the AAA and ATG. The event was a singular success attended by more than 1,000 accordion aficionados and occupying three hotels. Two ballrooms were constantly working and a gala concert was presented every evening. Orchestras and competitors came from many countries. The Kennedy Center in Washington, DC invited accordionists to do a half-hour program every evening throughout the week. The first World Accordion Orchestra took place under Joan Sommers' baton, and has become an annual event since. Participants were all delighted with the high musical caliber and great camaraderie, which permeated this Coupe Mondiale. Ms. Deffner has pioneered the development and promotion of lightweight accordions, including models with MIDI. She has been a leader in promoting accordion in bands and rock music, all areas that show strong future accordion growth. She has encouraged the advancement of accordion concert artists and strongly advocates accordion music written in conjunction with other musical instruments to better draw the accordion into the world of other musicians. She has worked tirelessly for accordion organizations and serves as a very competent spokesperson for the accordion community. The Deffner businesses will reach their 75th anniversary in September 2009. The firm encompasses Pancordion, Inc., Titano Accordion Co., Pigini Accordions, Ernest Deffner Publications and other subsidiaries, which have been under Ms. Deffner?s guidance for nearly four decades. Two years ago, Frank Busso, Jr. became an associate and the firm was moved to Alexandria, Virginia, where it now operates under his auspices. While Ms. Deffner continues her activity, she has greatly reduced her workload. Site constructed and hosted by: Accordions Worldwide at www.accordions.com.